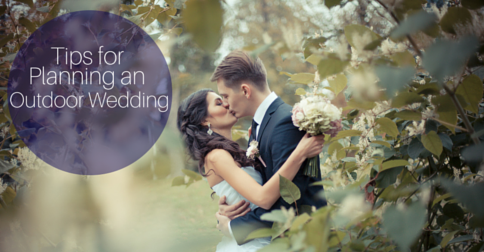 Planning a wedding can be stressful for everyone involved. Even a small intimate wedding has many parts that go into the process. An outdoor wedding, while beautiful and unique, comes with it’s own challenges. Follow these tips to create the perfect outdoor wedding you’ve always dreamed of. Where you get married, and what time of year you get married will determine in part the comfort level of your guests. Consider the normal temperature for the season, the potential of rain, and other factors. Your guests are there to support you, make sure you treat them well. Have water available, especially in a summer wedding. 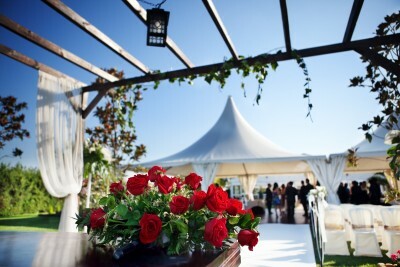 For many outdoor weddings, a tent is a great option to protect against the unexpected. Despite all our planning, sometimes things just don’t go according to plan. Invest in a backup plan in case you need it. Whether it’s wind, rain, or something else entirely, an outdoor wedding may not be feasible on your big day. Keep an eye on the weather the week of your wedding. Having an inside location or a tent big enough for everyone as a backup will save you a lot of stress on the day of your event. An outdoor wedding is already decorated in part with the outdoor beauty around. 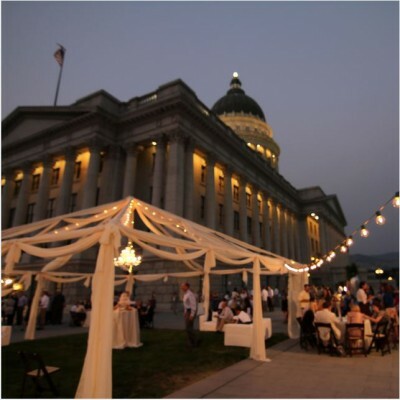 That’s one of the many advantages to having your wedding ceremony or reception outside. Even still, there are decorations that should still be included. Flowers on the table, pictures of the bride and groom, and linens are all important to remember in an outdoor setting. Make sure you have everything to make the event memorable. In addition to this, check the location of your wedding a week or so before the event to ensure everything looks as you planned. Bugs can become a real problem real fast at an outdoor wedding, especially during the summer months. Take the steps to protect yourself and your guests from these pests, especially mosquitoes. Use citronella candles around, especially at night. You can find a good way to incorporate these into the decoration of your wedding. Planning an outdoor wedding comes with its own set of challenges. Make sure you are prepared to take them on. With the right planning in place, you’ll be able to have the memorable wedding you’ve dreamed of no matter what’s thrown your way.